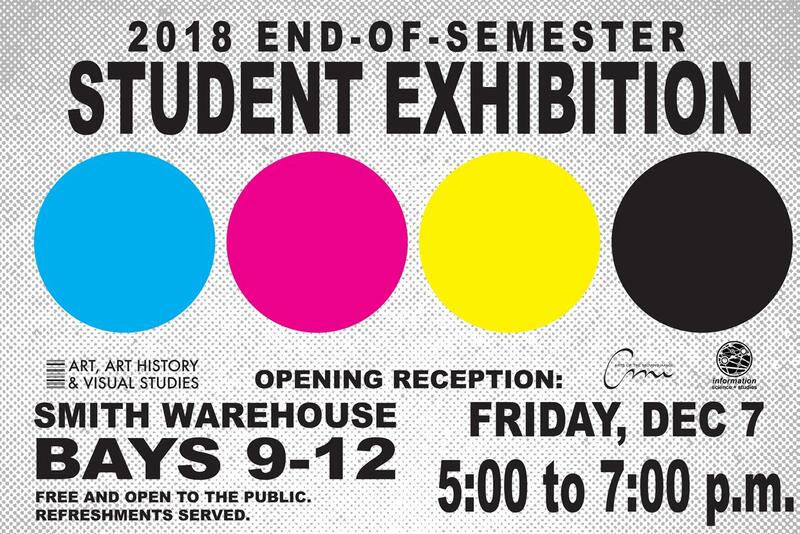 Please join us for the 2018 End-of-Semester Student Exhibition taking place on Friday, December 7th from 5:00-7:00pm in Smith Warehouse Bays 9-12. Free and open to the public. Refreshments served.